Buy Xiaomi Redmi Pro 2, Flash Sale on Mi.Com. We already know that Xiaomi has sold out 1 Million Redmi Note 4 in just 45 Days. It means every Wednesday Xiaomi sold more than 1 Lac smartphones. That's incredible and ranked 2nd most selling and popular brand in India. The first most selling brand is Samsung and after that Xiaomi Ranked 2nd position. The expected Price of the First Variant(4GB and 64GB) will be availed at Rs 15,999 and the second variant(6GB and 128GB) will be availed at Rs 19,999. This price isn't confirmed, we will publish it whenever Mi will announce it. It will come with two variants. 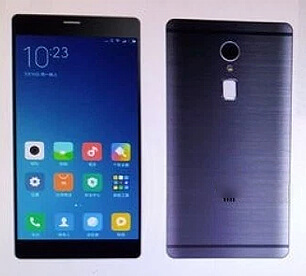 As you can see the following table are the expected details about Redmi Pro 2. The flash sale will be started up at Mi.com. Currently, Redmi Note 4 is availed only at Mi.com and Flipkart but in here, we just got the information that Xiaomi Will start flash sale for Redmi Pro 2 at Flipkart or Amazon. Wait for the date to be started up the flash sale. When the Flash sale start, Just do the same steps as usual as Redmi Note 4, All the things are same. The flash sale will start up on the end of this Month(March 2017). So, don't miss this loootz deal. Again we will publish some tricks to be the first to buy Redmi Pro 2 in Mi.com's Flash sale.